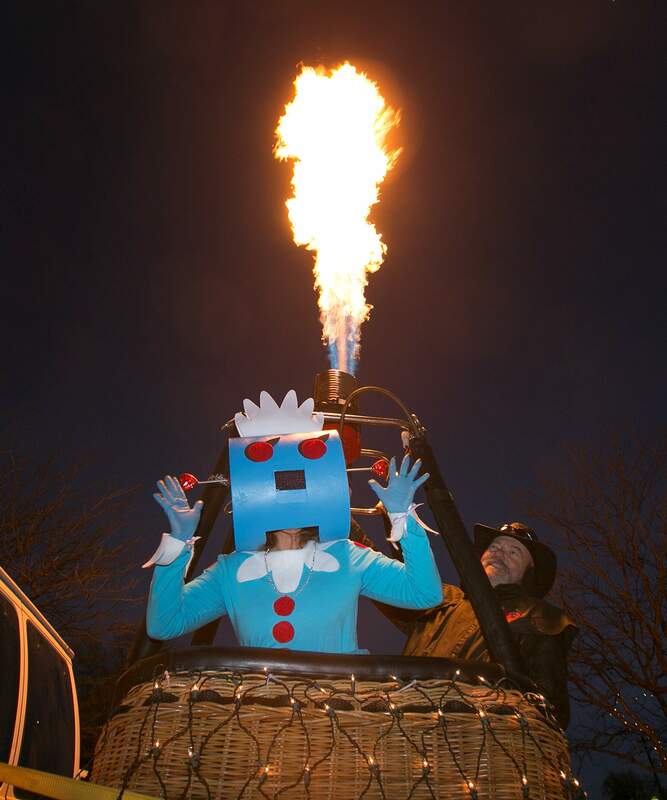 The burning of a hot air balloon delighted the crowd on hand for the annual Snowdown Light Parade Friday evening. The annual Snowdown Light Parade Friday evening. Spectators of all ages showed up for the annual Snowdown Light Parade on Main Avenue Friday evening. 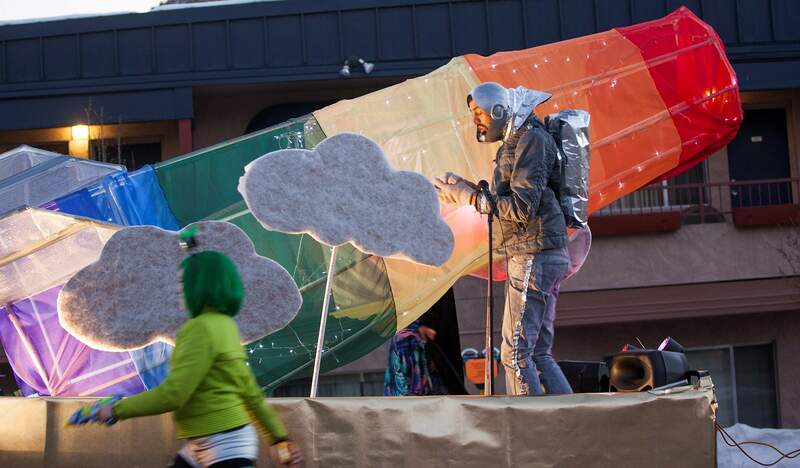 Intergalactic travelers of all sorts – aliens, astronauts, cowboys and invaders – crowded Main Avenue on Friday night to see the Snowdown Parade. Observers Sarah Slaughter, Shawna Fullington and Marietta Linney all noted the high quality of parade entries and said the theme helped spark the ideas. “It’s a theme that’s easy for people to translate,” Fullington said. This was true of the crowd as well, where tinfoil and creativity abounded. A squad of seven hooded jawas with glowing eyes posed for several pictures for passing fans. But they had more mischievous plans for later. “If we see a little kid dressed up as a droid, we’re going up to the parent to try to buy him” joked Dalton Millonzi. 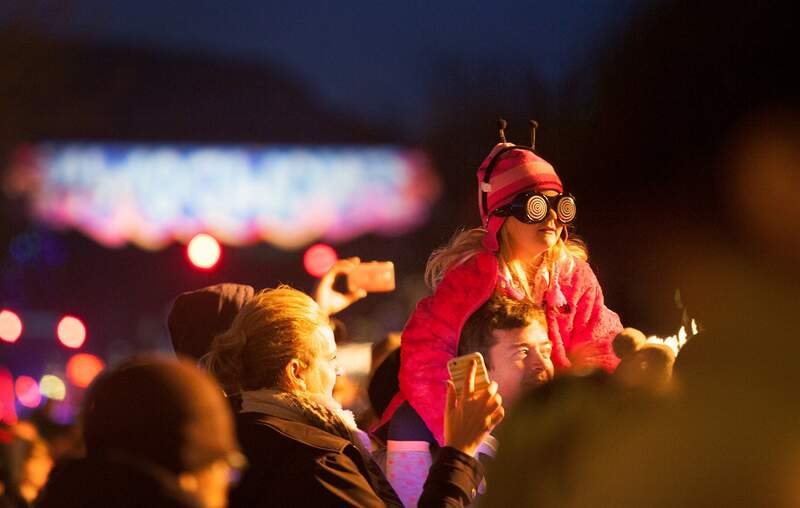 View photos of the Light Parade crowd. View photos of the parade and other Saturday events.